We are well-reckoned Cabbage Seeds Manufacturer and Supplier in Jalna, Maharashtra. We provide especially developed Cabbage Seeds to the clients all over the country. The Cabbage Seeds are processed using the advanced methodologies. Besides, at every level, we maintain utmost hygiene while removing the impurities from Cabbage Seeds. 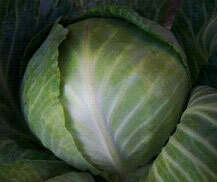 Clients can avail Cabbage Seeds in bulk. Remark Widely adapted. Small frame, short stem. Good leaf wrapping. Fusarium tolerant.